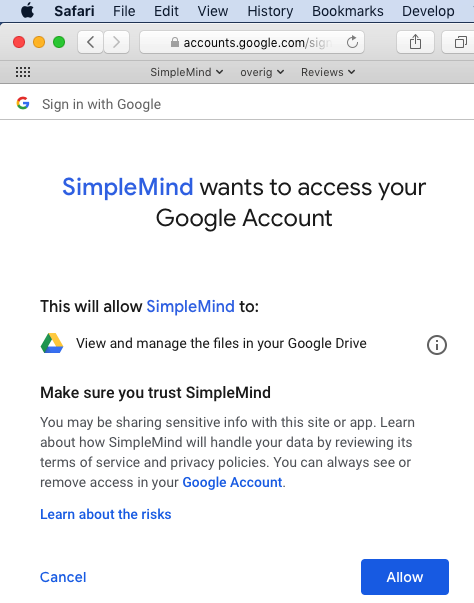 Step 1: Connect SimpleMind for Mac to Google Drive. 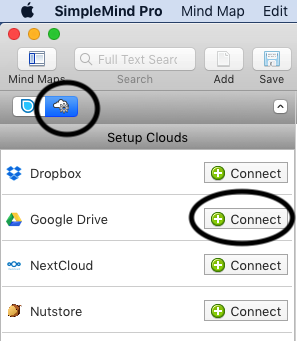 In the Mind Map Explorer click the cloud setup tab and click “Connect”. If you don't see the Mind Map explorer, Mlick "Mind Maps". 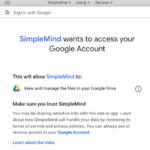 Allow SimpleMind access to Google Drive. This adds the Google Drive tab in the Mind Map Explorer. Click this Google Drive tab to see the folders and files in Google Drive. Step 2: Copy existing local mind maps to Google Drive. Local mind maps are not synchronized with Google Drive. 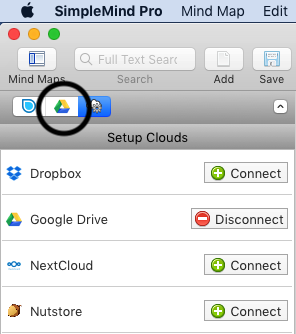 If you want to store and sync an (existing) local mind map on Google Drive, you need to copy the local mind maps to the Google Drive tab. This is a one-time copy. 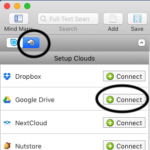 To copy, select the mind maps - right click – “Copy to Cloud” – “Copy to Google Drive”. Step 3: Work directly in the Google Drive tab. 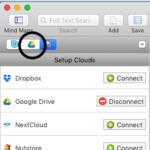 You can now create new mind maps that are synced directly with the cloud. All your changes are synced at regular intervals and at shutdown. To manually force synchronization, use the “Synchronize with Google Drive” command.